The first teaser for Fantastic Beasts: The Crimes of Grindelwald was the very definition of a teaser. But if you are looking for some real magic, then its San Diego Comic-Con trailer will definitely cast a spell on you. 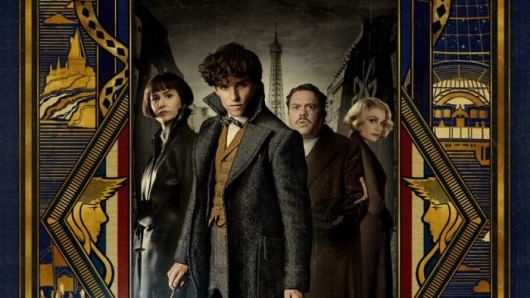 With the stakes this high, can Newt (Eddie Redmayne) bring an end to Grindelwald (Johnny Depp) or will Albus Dumbledore (Jude Law) end up mourning the loss of his former student. Check out the newest trailer below along with a new poster. The trailer was released during Warner Brothers’ mega panel at Comic-Con. The studio usually takes up a large portion of the Hall H schedule by packing in its entire geek slate into one nicely fitted block of time. So they kicked things off with Fantastic Beasts: The Crimes of Grindelwald. Now that Grindelwald is on the loose, the malevolent dark wizard is plotting something against the No-Majes and Muggles. So Dumbledore recruits his old student Newt to bring a stop to him. This mission will now take him to the Paris, where the City of Lights will be the latest battleground for wizards. But Newt won’t be alone, he is reunited with his friends Tina (Katherine Waterston), Jacob (Dan Fogler), and Queenie (Alison Sudol). But he will also come across old flames like Leta Lestrange (Zoë Kravitz). Just like Fantastic Beasts and Where to Find Them, Fantastic Beasts: The Crimes of Grindelwald looks like a visual splendor. The set pieces and costume designs have that blend of the roaring ’20s but with a touch of that wizarding world we’ve come to know and love. The film also stars Ezra Miller, Callum Turner, Claudia Kim, William Nadylam, Kevin Guthrie, Carmen Ejogo, and Poppy Corby-Tuech. Fantastic Beasts: The Crimes Of Grindelwald opens in theaters on November 16, 2018.